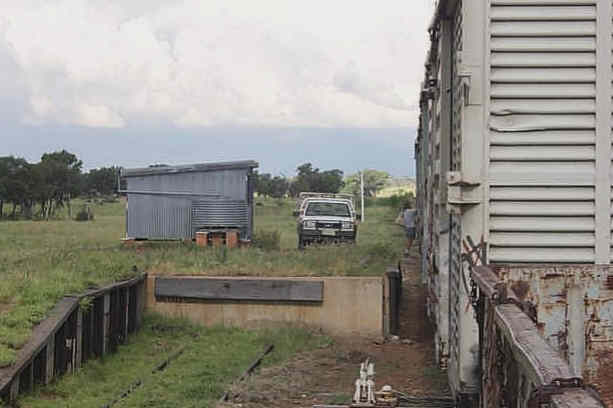 Unloading freight at the old Blackall station. 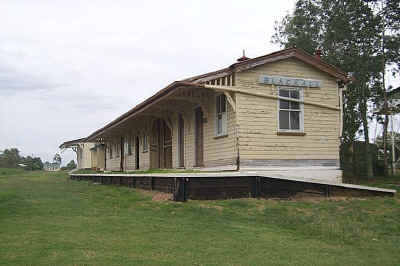 The station building has been moved into a theme park in town. 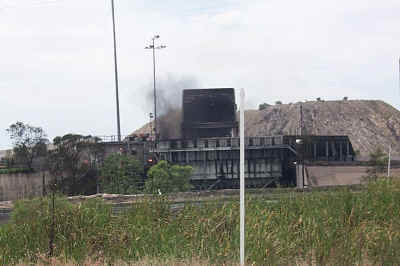 Bout the platform and a water tank still stand. Don't forget to take along a thermos for a cup of tea. I bought this thermos in an FDB store for $5.99 before I boarded the train. 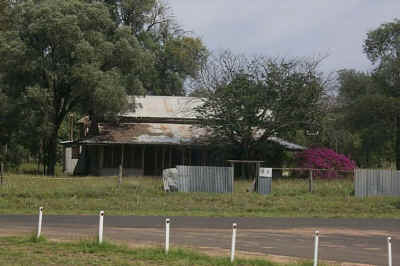 A good bakery in Blackall (at the southern end of the town) There are plenty of pubs selling great counter lunches and evening meals. 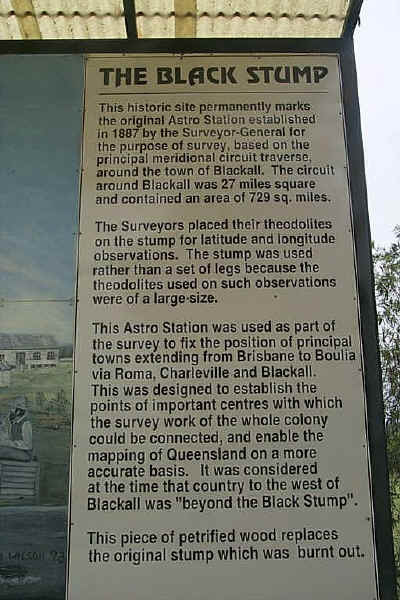 Double click on the image to enlarge to read the history of "beyond the black stump"
The Blackall wool Scour. 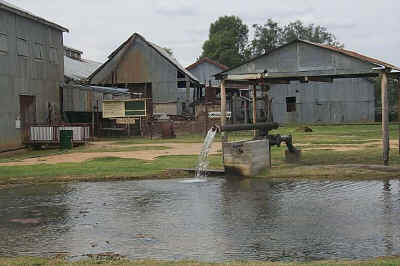 Hot artesian bore water was used to wash the wool. 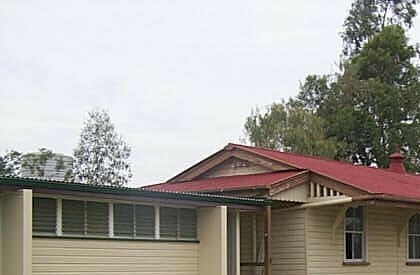 The Scour is now being lovingly restored by the Blackall Historical society. 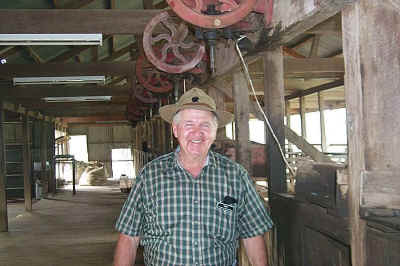 Ron was our tour guide of the Scour. Tours are run daily. 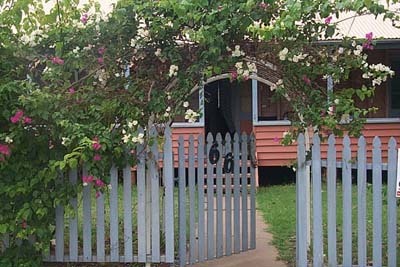 Call or visit the Blackall tourist information center. 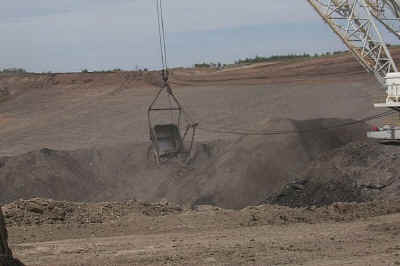 The Scour is well worth a visit. 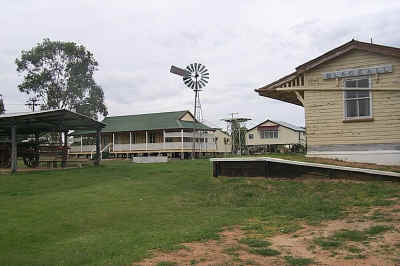 The old Blackall station at the theme park. 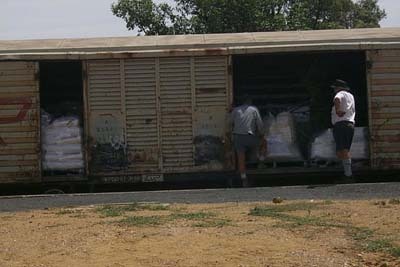 Modern day rail passengers now alight at the Blackall rail freight depot. 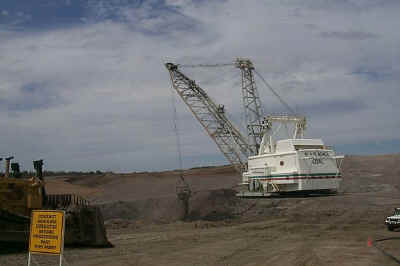 Most of the coal goes to S.E. Asian countries where it is used for electricity generation. 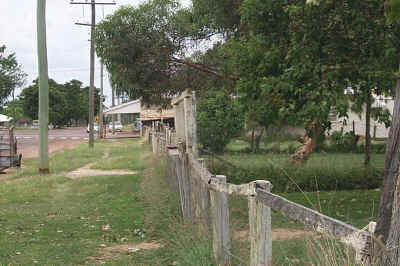 I well imagined that it wouldn't be too long before I'd hear an announcement to say that the branch line from Jericho to Yaraka would finally be closed. The announcement finally came today. Here's the link, I'll let you read the sad news. 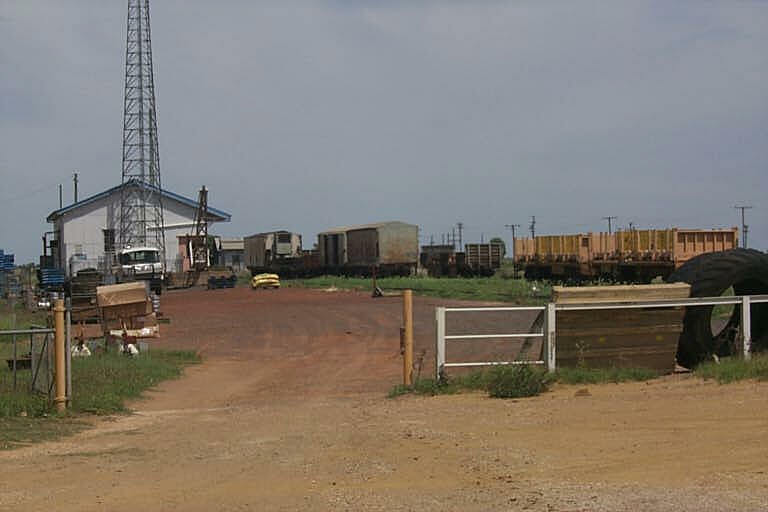 As from 1 March 2001 the schedule and days of operation of the Yaraka freight service have been altered significantly. 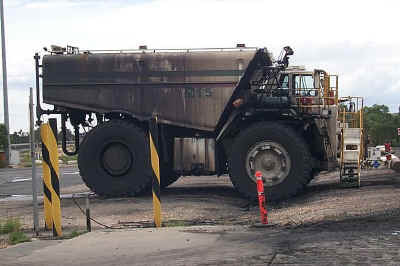 These alterations are a result of substantial community consultation in an effort to reduce costs associated with the operation of this service. 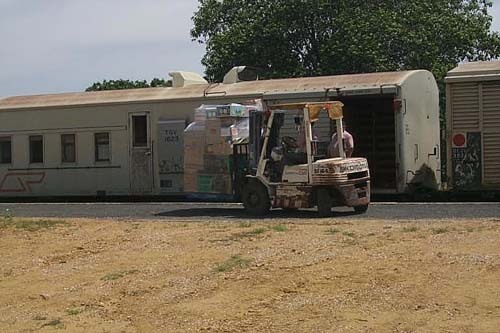 The train now commences from Rockhampton on Thursday at 9:40am and continues to Yaraka arriving at 8:35am on Friday. 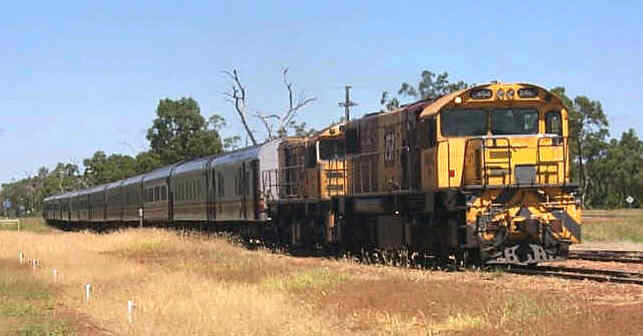 It then returns to Rockhampton arriving on Saturday at 2:12pm. 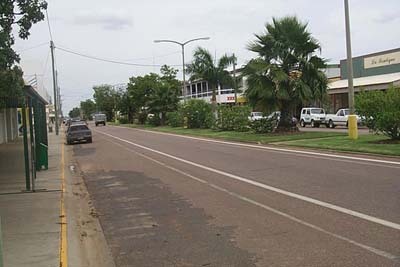 This change retains a livestock service to Blackall on Fridays, without the cost of operating a second service. 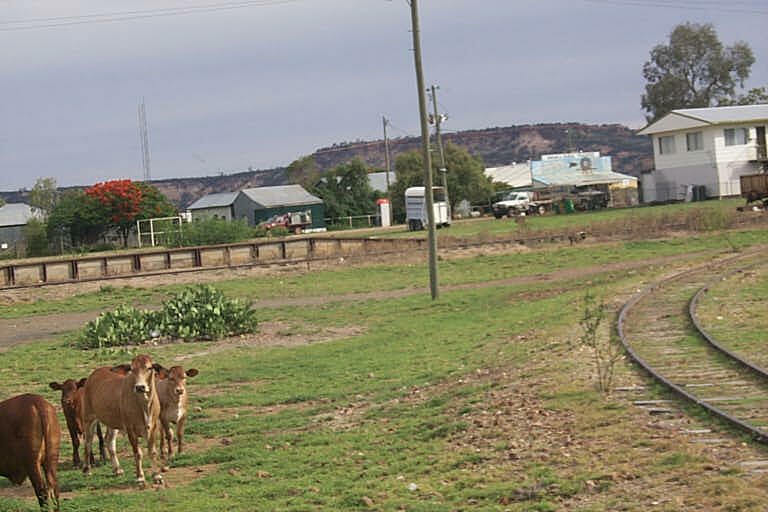 This new service connects with Brisbane freight loading and is designed to service the people of Yaraka and provide a livestock pickup service at Blackall upon its return. 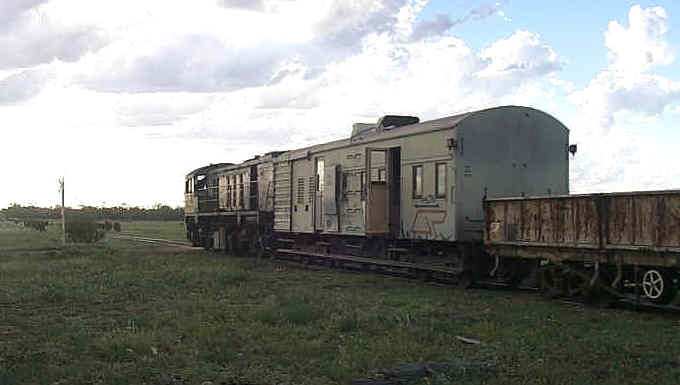 Traveltrain (or passenger Services Group as we now form part of) does not control this service or the Hughenden to Winton train. 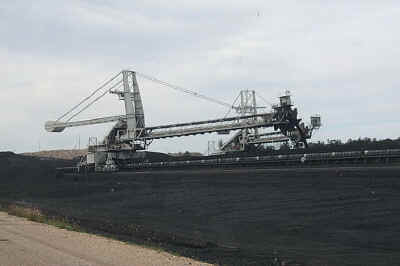 The control of these trains comes under the recently formed Coal and Freight Services Group. 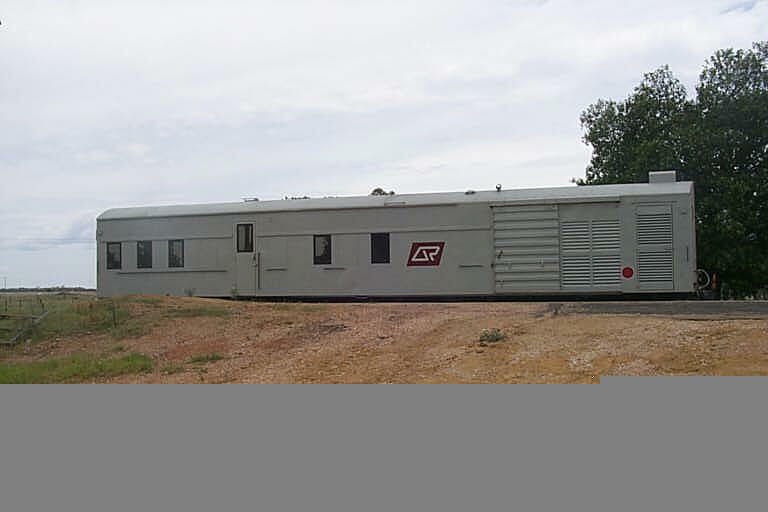 To enable QR to comply with the environmental legislation controlling the discharge and treatment of sewerage, retention toilets are to be installed on all Traveltrain passenger services. Long distance services will be upgraded first, followed by tourist trains such as the Savannahlander and Gulflander. 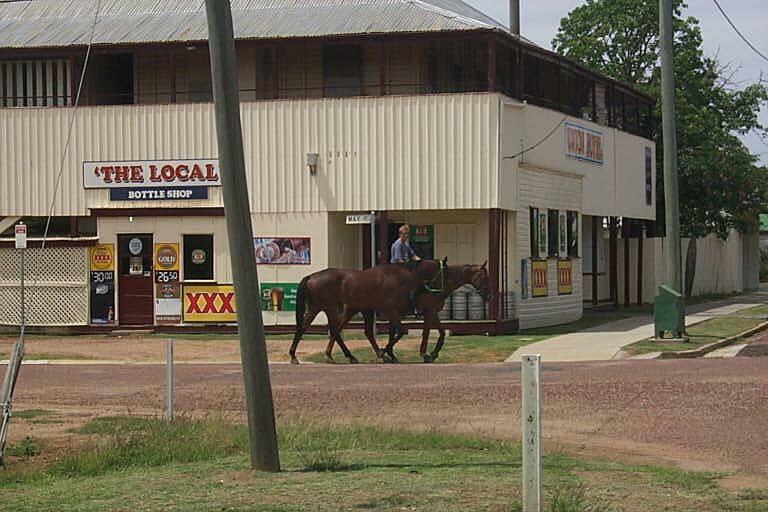 On the 27th of January 1999 I rode from Blackall to Yaraka and back to Jericho aboard the Yaraka mixed. It had been many years since I had ridden on a mixed train. I thought they were a thing of the past. 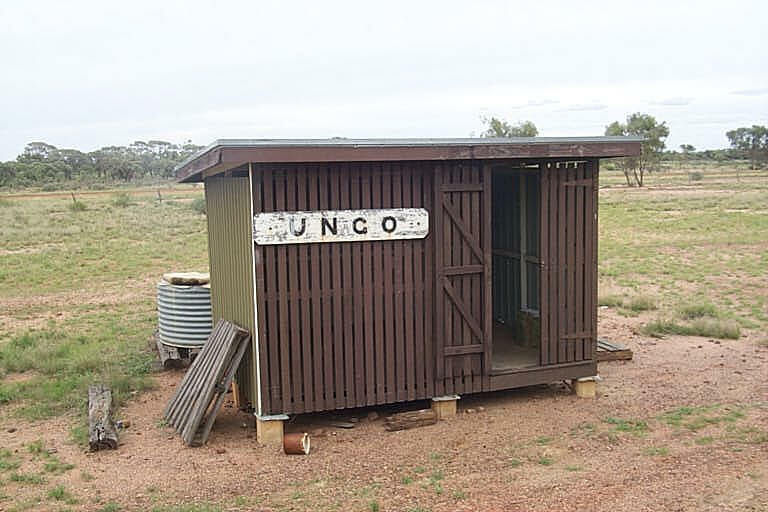 The rail line to Yaraka on a map appeared to be a line to nowhere.� Surprising� it is still operational in 1999 and, delivers the mail. 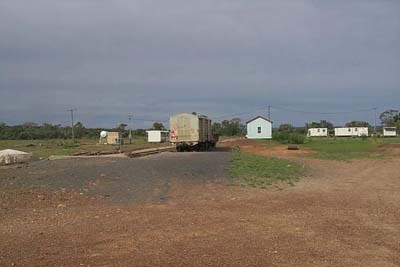 The locals assured me that the line will never be closed.� I somewhat believe them as the section of track between Emmet and Yaraka is lined with new wooden sleepers waiting to be laid. 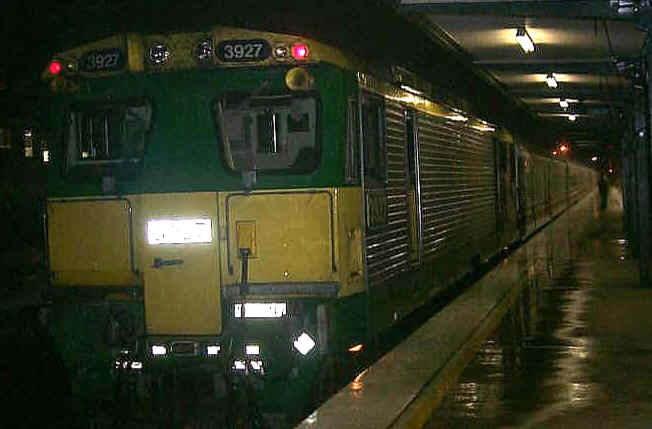 The train starts from Emerald departing there at 12.50am every Wednesday morning �arriving back at Emerald the next afternoon. Departure time from Yaraka is 6.45 pm. 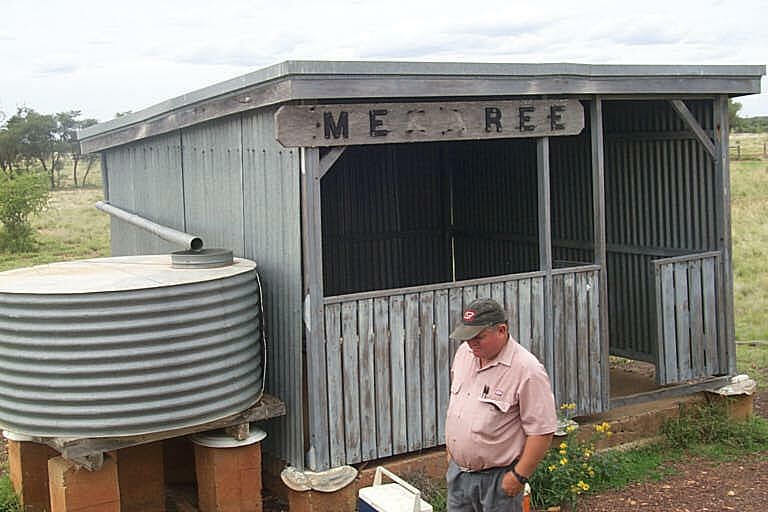 every Wednesday.� Telephone the station master at Emerald a day or 2 before to let him know you wish to travel. When I asked him how often people traveled on the train, he told me about 2 people a month make the journey. Queensland Rail does not seem to advertise the train in print. But I was informed about it by a Q.R. tourist officer at the Roma Street booking office. Maybe she thought the train had tourist potential. If she did I'd agree with her. But, if the past is any view of the future, tourists will discover it the day after the service is discontinued. The interior of the TGV van� passenger compartment. 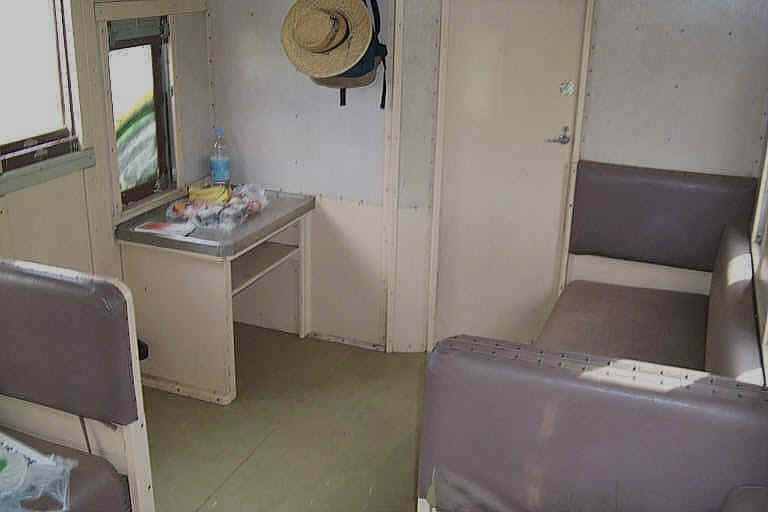 The 3 long seats make comfortable berths. The table on the left has a stainless steel top. Great for food prep. If you're doing the round trip a small stove for a cup of tea or coffee might add up to a bit of fun. . Bring a water container, refill at the various stops. The floor and seats were covered in fine red dust. 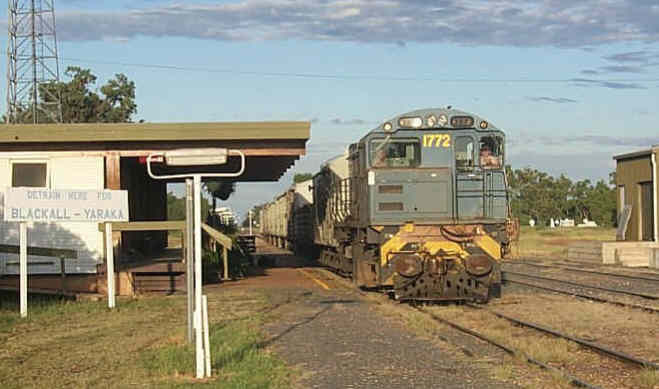 The train shunts at Blackall on the up journey at mid day. There are plenty of pubs in town serving counter lunches. Loco and TGV at Emmet. Never have got around to asking someone why the passenger car is � first behind the loco instead of at the end of the train as of in the heyday of mixed trains, goods trains with passenger accommodation and express freight trains with passenger accommodation. 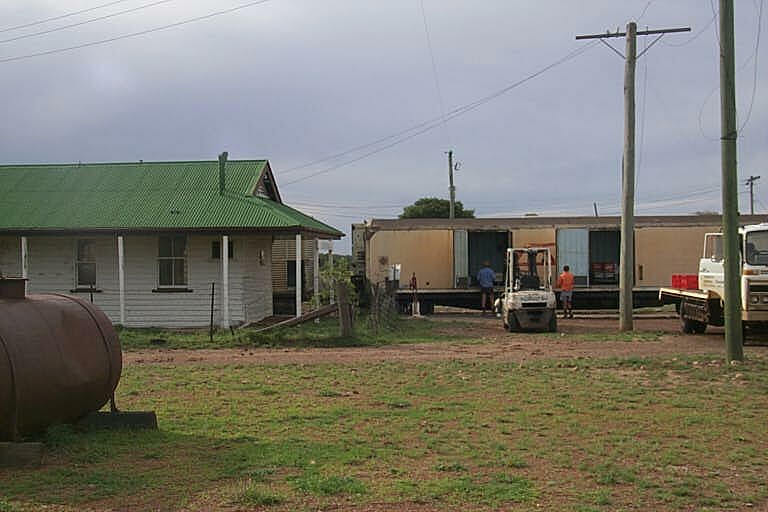 This farmer (he had 2 lambs in the back of that ute) came down to pick up his mail from the train. 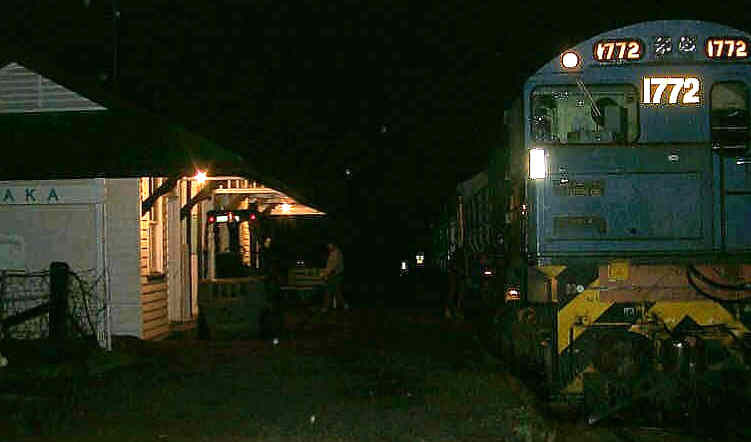 I didn't know at the time that the Yaraka mixed� was also a mail train. 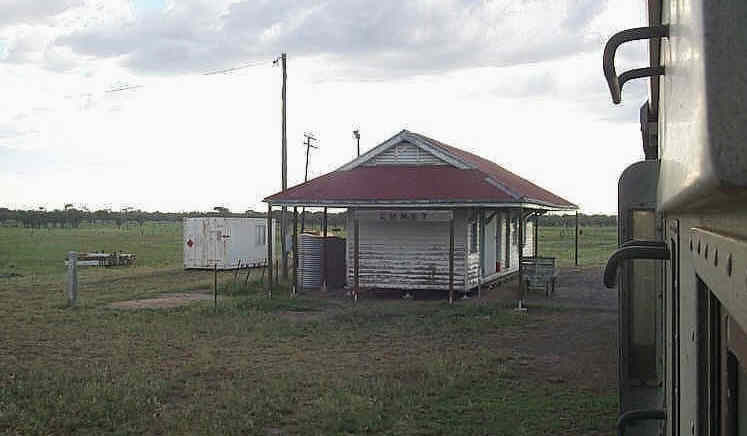 Pauline Hansons wish to return Australia to the 1950's really has come true!!!! On arrival at Yaraka the crew informed me I had about an hour before departure. I could see about 4 houses and about 4 street lights and a pub. I headed for the pub. The barmaid informed me that nothing had changed over the years. The train had always delivered the mail. So it wasn't Paulines doing! Yaraka is still in the '50's. 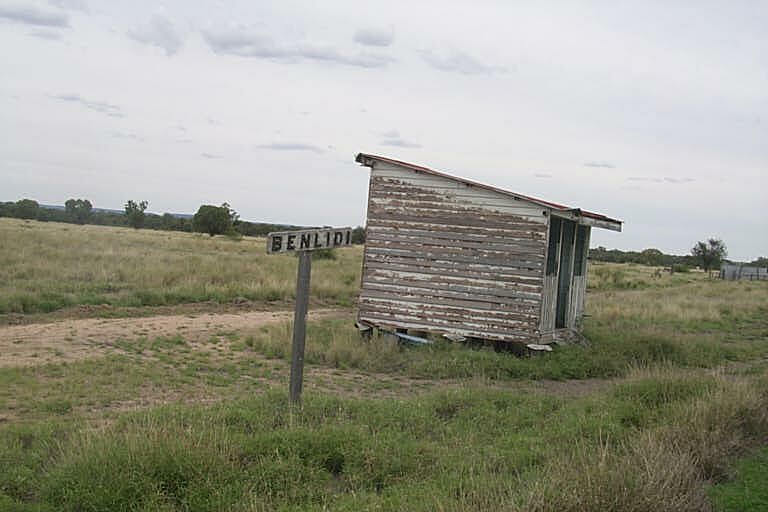 The barmaid informed me that the locals were recently asked, what did they want, the rail service to continue or the roads sealed. They chose to continue the rail service. 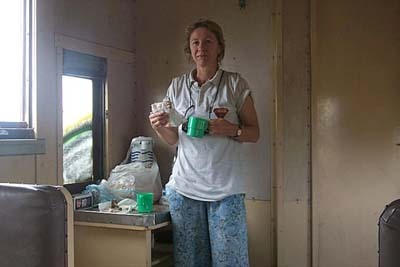 She told me that the hotel will prepare meals for the rail travelers on their arrival� if they inform the train crew who will call through to the hotel. 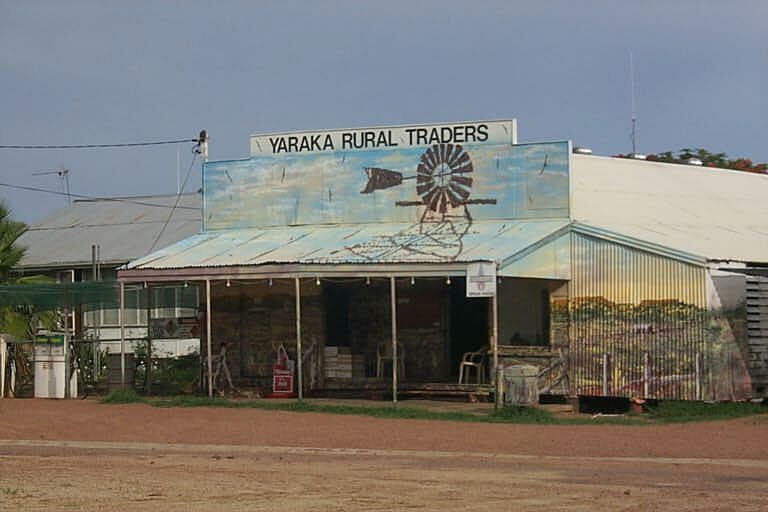 Yaraka welcomes rail enthusiasts and tourists. 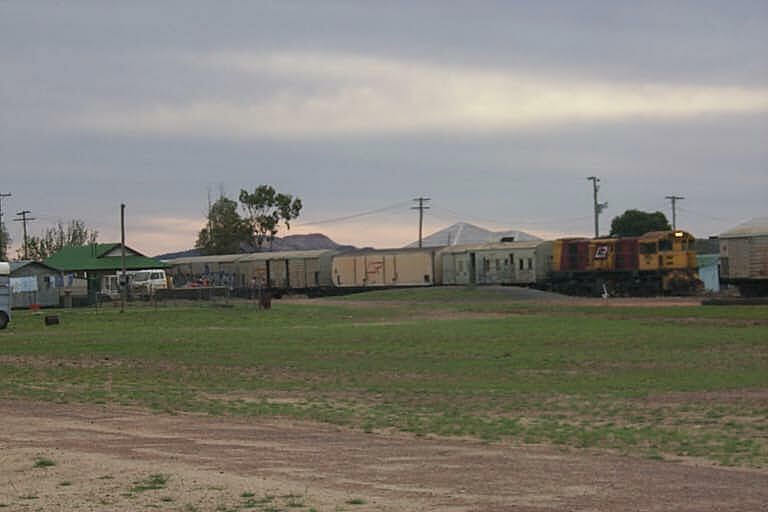 On arrival at Jericho at 6am the following morning I alighted to connect with the Spirit of the Outback. 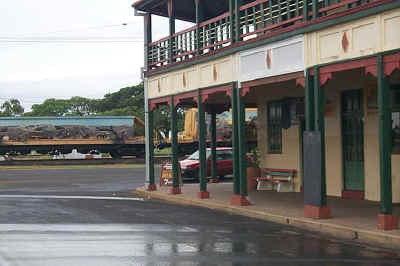 I had a wash under the station water tank and took breakfast at the cafe opposite the station. The station mistress arrived at 8am. I told her I had arrived on the mixed from Yaraka. She was amazed that someone would spend a night traveling on "that thing" She� informed me that� when the Yaraka mixed passed the previous morning (up) it was about 2 hours late, quote "due to problems in getting over the range". 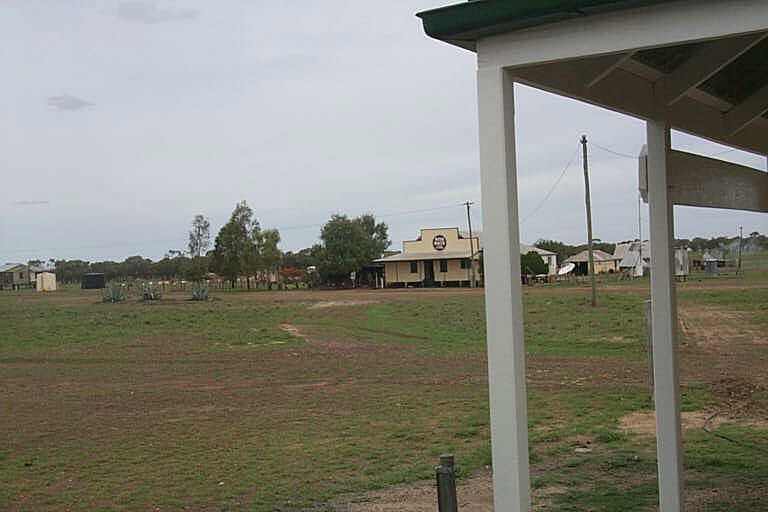 She (the station mistress) also said the train was quote "longer than normal"
"Detrain here for Blackall-Yaraka". Double click to enlarge the image. 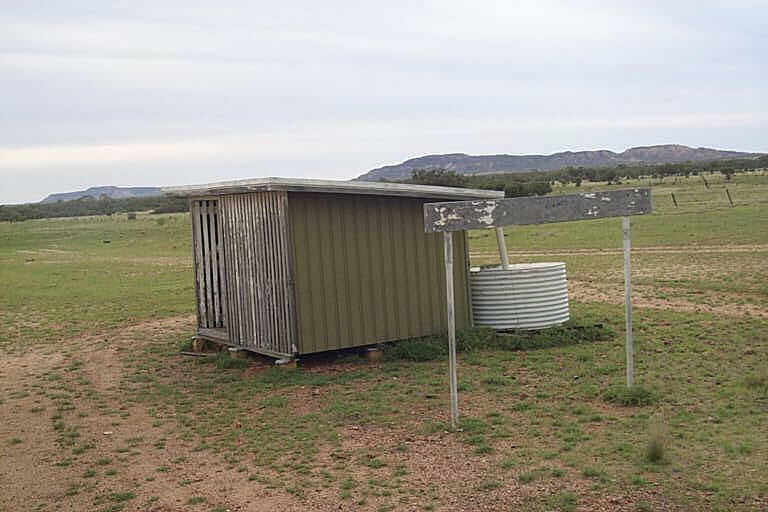 I recently traveled on the Indian Pacific and the Ghan (also the XPT but I wont mention that). 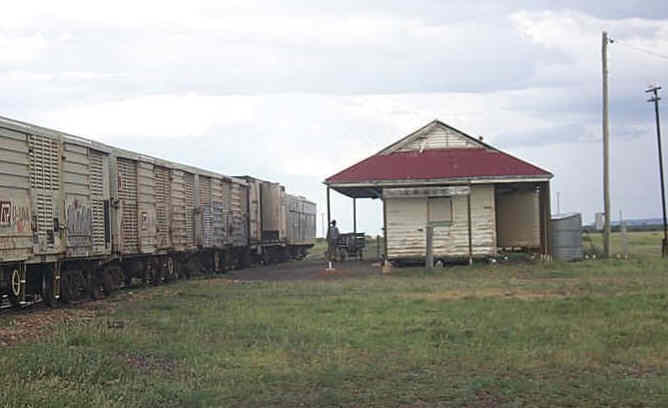 The Spirit of the Outback beats both theses trains for comfort, accommodation and dining facilities. Congratulations Q.R. you're doing a great job. 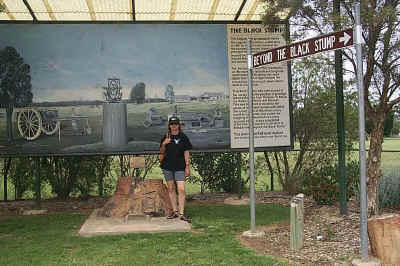 On returning to Clermont on the Blair Athol tour we stopped at Copperfield just outside of town. 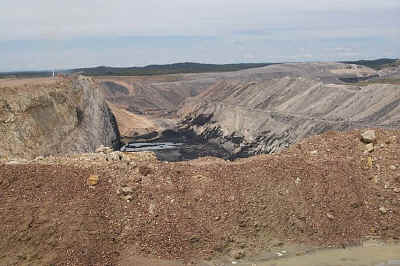 Once the scene of a thriving copper mine. 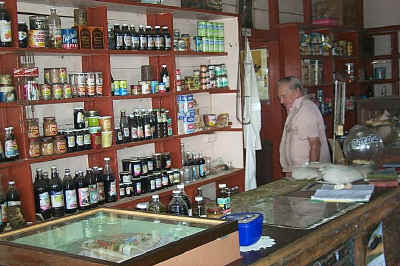 When the general store closed back in the late 60's none of the stock was removed. Now the store and it's stock are a tourist attraction. 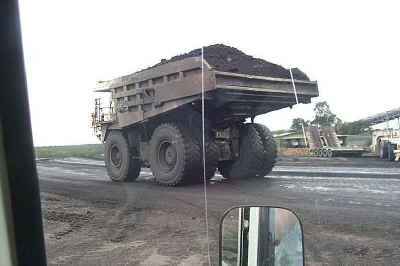 This image and the following images were taken at the Blair Athol coal mine. 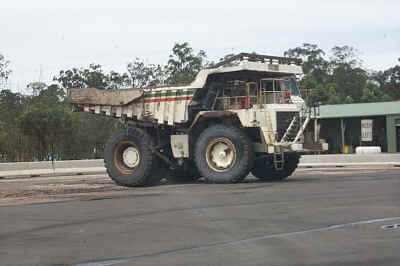 Tours of the mine from Clermont (115 kms from Emerald) are free and run every Tuesday and Thursday. 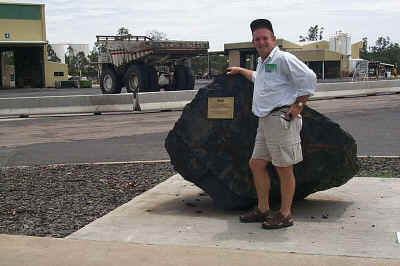 Call the Emerald tourist office. 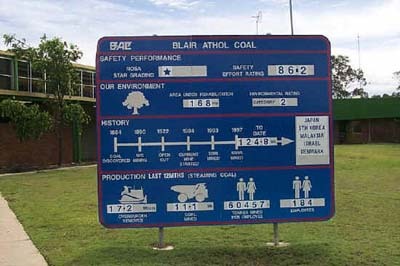 Blair Athol was once a quite peaceful little town until someone discovered one of the worlds best deposits of steaming coal. 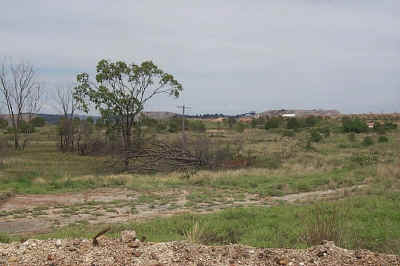 All that remains of the town as of Dec. 1999 is one telegraph pole. 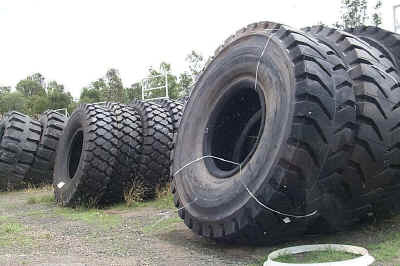 Ever wondered how they change one of those big tyres?. 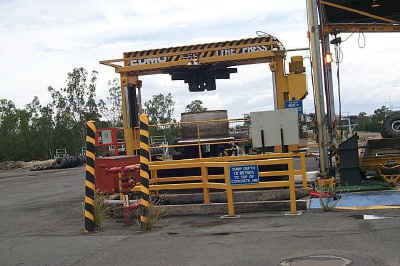 Here's the machine they do it with. 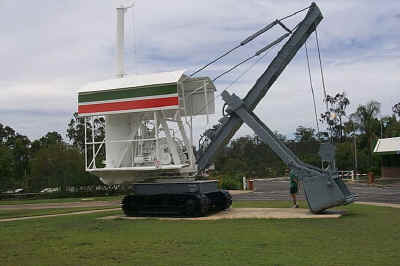 This steam shovel began its working life in Mt Morgan in the 1920's. Restored by BAC it is now a working exhibit, running on compressed air.